Singapore will be the digital headquarters for the Asia Pacific region. It seems like everyone is on the Smart Cities hype. Governments aren’t the only ones pushing for a higher quality of life with data and technology. Private companies are surely getting their foot in the door with the huge technological and financial capabilities they possess. The most recent Digital Consulting and Smart Cities hub in Singapore is exemplary. Launched by a Norwegian global private quality assurance and risk management company, the project aims to pack a punch into how Smart Cities are conceptualised. The Norwegian company will work closely with the Singapore Government and relevant companies for the project. From their collaboration, they hope to boost the performance of assets and infrastructure and elevate the quality of life in a Smart City. It is the holistic approach which makes the company’s project fascinating. Using their digital and technical expertise in operations, the company is able to meet current urban solutions demands. The tools they posses can facilitate favourable asset performance and better living conditions. A three-pronged approach is inculcated to deliver a comprehensive design. Three dedicated teams have been outlined to govern smart cities, cyber security and digital development. An open industry data analytics platform has also been made available to facilitate the infrastructural development. Known as Veracity, the platform brings together a selection of digital tools and apps where a multitude of tech professionals and vendors can come together to work on problems and tease out new insights. Collectively, the Norwegian company aims to help cities and its businesses develop and cope with the challenges of urban life. A host of advisory service, predictive analytics, applications development and standard setting for digital technologies will be rolled out as part of the Digital Consulting and Smart Cities plan. The technological solutions they provide help anticipate change and stay buoy during unforeseen events. Affirming the favourability of the public-private partnership is Mr Lim Kok Kiang, Assistant Managing Director of the Economic Development Board. He said the company’s choice to operate its hub in Singapore is “testament to [Singapore’s] strong digital talent and IT infrastructure”. The company reaffirmed that the Hub’s employees will be drawn from the region’s “innovative and dedicated entrepreneurs”. Typical of a tech project, the digital hub is expected to be lean. The company announced that 50 employees will be recruited over the next five years to supplement the project. These employees will derive from Singapore’s mature software development and engineering talent pool. Furthermore, the Norwegian company will tie-up with local universities and business to work on the solutions they intend to put forth. 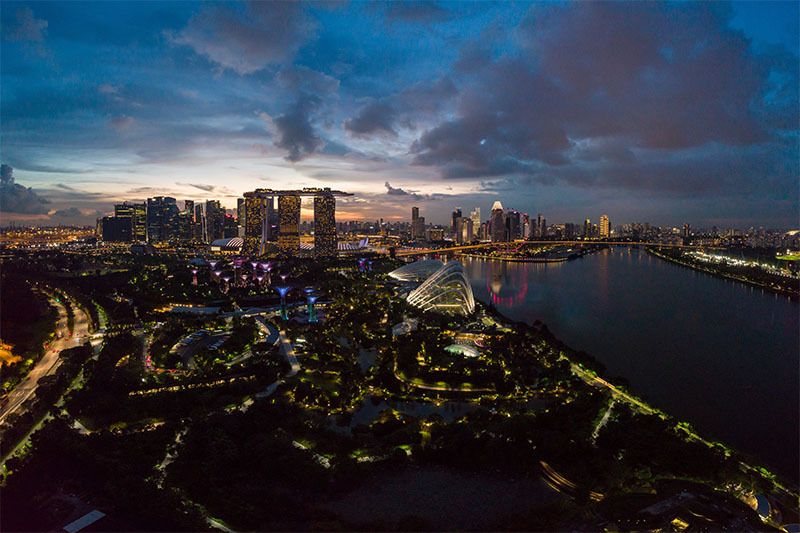 As hot test-bed and forerunner in Smart City projects, Singapore is a country to turn to for inspiration. Once the project is up and running, it is believed that countries in the region will seek to emulate the success. Tech transfers will be inevitable, and consequently regional development. A lot can be expected from the marriage of technical and technological expertise. Some interesting projects to look out for are those which gear up for climate resilience, measure infrastructure performance and monitor cyber security risks. All are important facets in a fully operable Smart City.